First, we have a highly trained staff of movers and specialists who can help you plan your move. Feel free to call or email our office to get started. We can help with all aspects of your move, even down to packing your dishes. Getting started with us takes just seconds, and you can begin the online quote process by clicking here. Alternatively, feel free to pick up the phone and give us a call to speak with one of our local team members. Second, with Suburban Solutions by your side you can have confidence that the job will be done right, and at an outstanding price. We will provide you with a written estimate ahead of your move, and you can rely on the job being done properly with the highest level of service and quality commitment. There are NO hidden charges whatsoever. Knowing what the actual cost of your move will be ahead of time can help you plan your overall moving budget. All of the movers at Suburban Solutions are licensed and insured, and we are always happy to provide a list of references. Third, after your move, whether it’s local or across the country, it’s likely you will have trash or items that you no longer need. Whether you would like to donate your unwanted possessions or dispose of them, we can handle it for you. We strive to be a full-service shop for all of our customers’ moving needs. On a final note, keep in mind that we understand that every move is unique, just as each of our customers are unique. The last thing you want to do is trust your worldly possessions to just any moving company. Whether you’re moving only yourself or your entire family, we provide outstanding service and value. Check our references, check our reviews, and let us know if there is anything further we can do to make your move as painless as possible. Identify which items you need to move before contacting us, as this will help streamline the quote process for you. Consider how much packing you intend to do versus having us handle it. Think about donating any unwanted furniture, clothing, dishes, and other items before the move. This will help minimize the number of items you’ll need to ship. 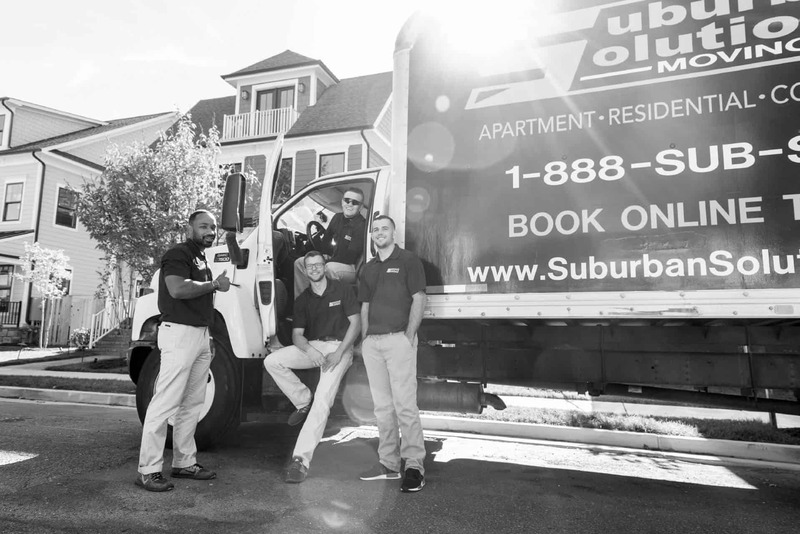 Thank you for considering Suburban Solutions for your moving needs. As a moving company Alexandria VA customers turn to with their transportation needs, we are more than happy to answer any questions you have, so please feel free to reach out to us today.